What's that smell? 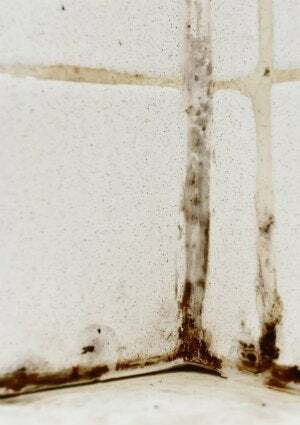 The musty odor on towels, tile, and basement walls can be a sign you have a mildew problem. Don't worry: With a few simple pantry items, you can completely eliminate the odor and stymy future mold growth. Here's how. Among household odors, mildew undoubtedly ranks among the worst. And unfortunately, it’s all too common, lurking in the dark, damp corners of your home. If you were looking for a quick fix, there isn’t one. The smell of mildew can literally develop overnight, especially during periods of damp and humid weather. Getting rid of that smell—and making sure it doesn’t return—is an ongoing effort. But luckily, it’s not a particularly difficult effort: You can get rid of that mildew smell pretty easily, using items found in most pantries, so long as you can identify the source of the odor. That’s the tough part. The rest? Persistence. Locate the mildew growth causing the odor. Scrub the mildewed area with diluted bleach. Clean off the bleach and wash any affected fabrics. Continue reading below for the full details on dealing with mildew odor and preventing it in the future. STEP 1: Locate the mildew growth causing the odor. Sniff around. The first step in getting rid of a mildew smell is to locate the source of the problem. Remove impediments to your search. In the bathroom, that means taking down the shower curtain and temporarily relocating toiletries that would obscure your view of the likeliest breeding grounds (e.g., grout lines or tub caulking). In the basement, pack up old newspapers, cardboard boxes, and any other disposables. Focus your attention on surfaces vulnerable to moisture. STEP 2: Scrub the mildewed area with diluted bleach. If you’re successfully able to isolate the mildewed area, that means you can spot-treat it without going through the effort of cleaning the whole room. However, if you’ve searched high and low but cannot find any obvious mildew growth, cover all your bases by giving the entire space a once-over. In a large bucket, mix one part bleach to four parts water. 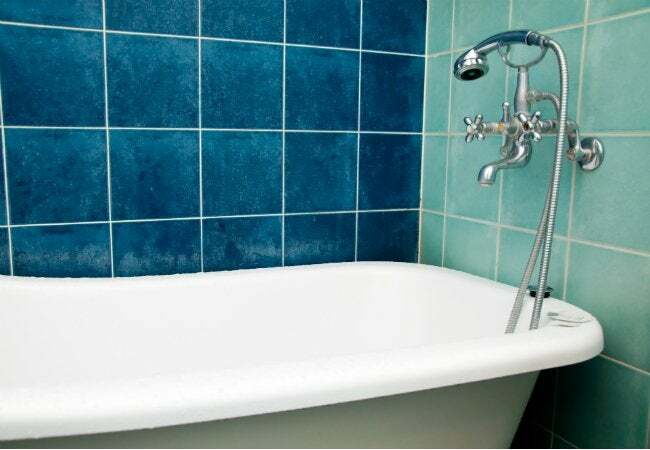 Scrub the walls and floors with the homemade mildew killer you’ve concocted, being sure to sponge away all bleach residue once you’ve finished the job. STEP 3: Clean off the bleach and wash any affected fabrics. Scrubbing the walls and floors isn’t necessarily going to cut it, though. It’s not uncommon for the smell of mildew to emanate from fabrics, such as towels, and from other personal belongings (e.g., sneakers). Can the mildewy item be placed in the washing machine? If so, soak it in all-fabric bleach for about 30 minutes. After rinsing it off, run it through the washer as you would a normal load of laundry. With regular attention and the occasional use of a few household staples, you can get rid of that mildew smell you hate so much, along with the hazardous, unhealthy mold those smells belong to. Install dehumidifiers in problem areas; with the humidity level low, mildew cannot grow. Ceiling fans help keep areas dry and are at home mildew-prone areas like the kitchen and laundry. Odor absorbers like baking soda, charcoal briquettes, and kitty litter are all effective in keeping mildew at bay. Fill a large container about halfway with your chosen deodorizer and leave it to work its magic in whichever rooms you’ve been encountering issues with mildew. Replace every month or so.